Choose from three themes just the way you like it; standard, dark, and white theme (exclusively made for ThaioType). 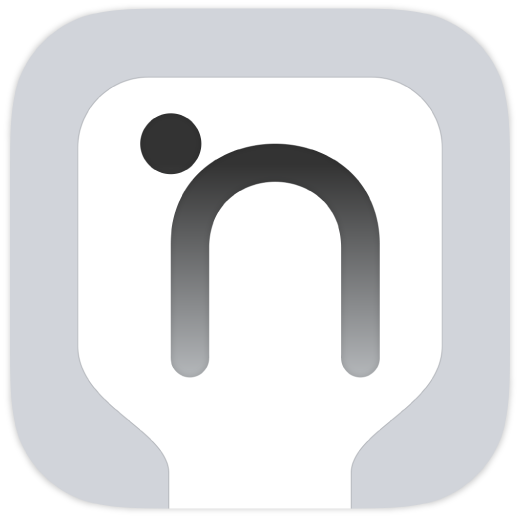 If you wish to select more themes, check out ThaioKey or click here. Type more accurately and efficiently. 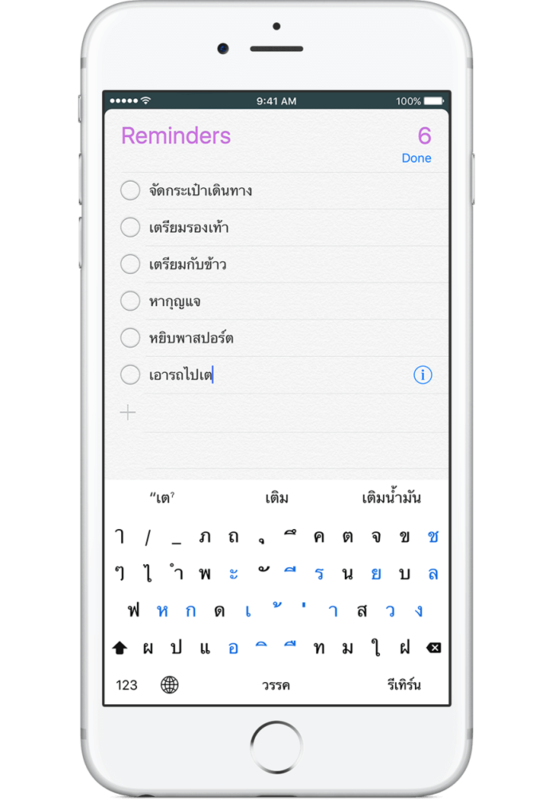 ThaioType calculates the possible combination of letters to ensure that you type correctly. The highlighted keys represent the possible sequence of letters for you to type next. 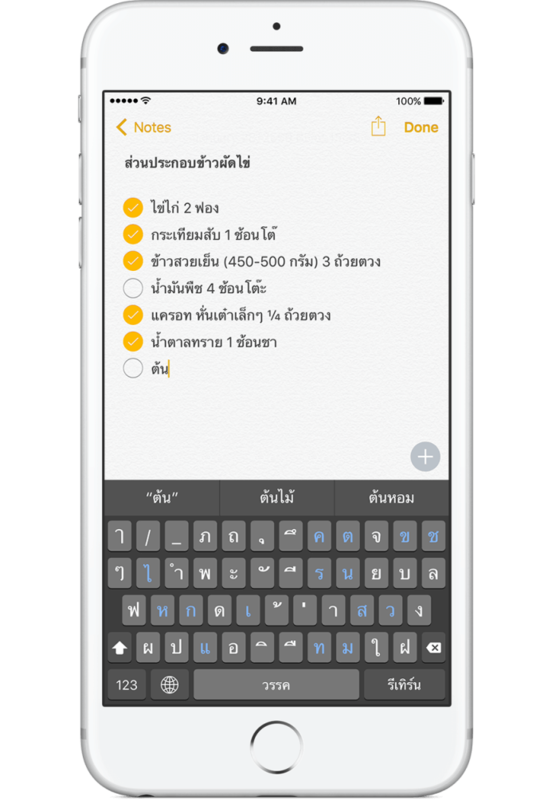 Keyboard character size can be adjusted within ThaioType. You can choose between regular and larger character to suit your preferred reading size. 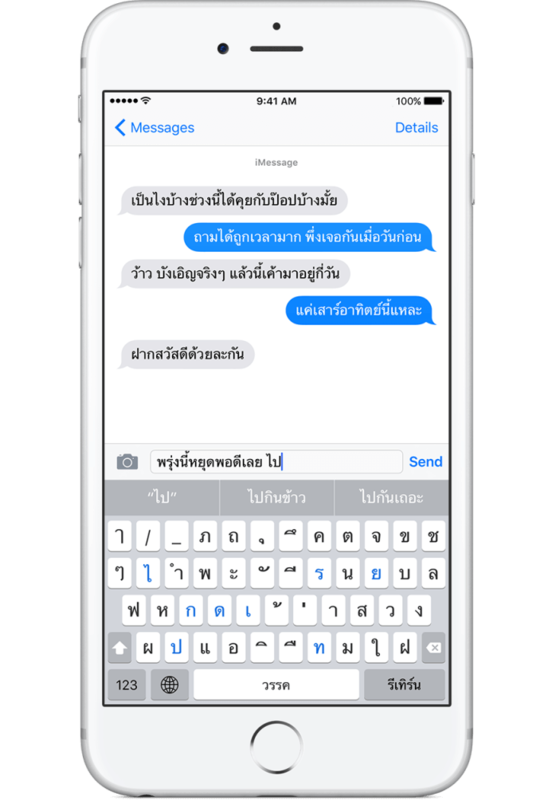 Words prediction is the core of ThaioType. 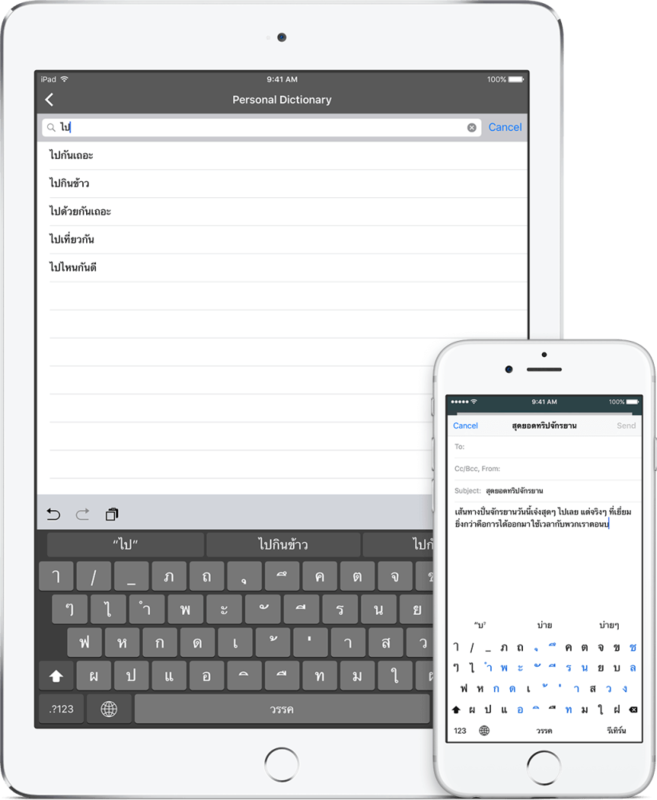 The application predicts the next word you about to type, the words you currently typing, and even suggest correction when you make mistakes. ThaioType learn your words, phrases, and sentences. Words from previous conversations will be taken into account in order to calculate the best possible prediction for you. Add new words to your dictionary. Customize your own typing experience. Type faster with fewer keystrokes by saving frequently use words, phrases, and even sentences. 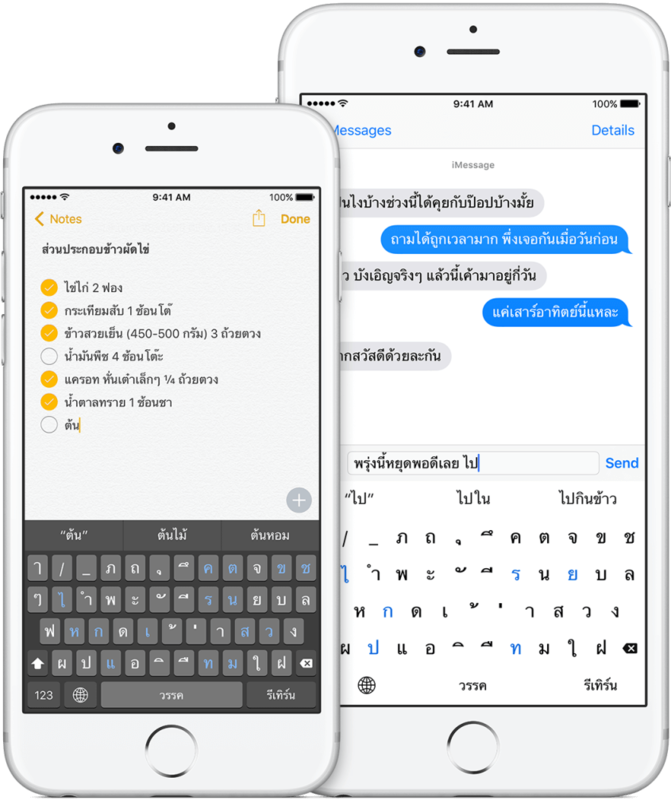 Upon a single purchase of ThaioType from the App Store, the application is available for your iPhone, iPad, and iPod touch for free with no additional charges. 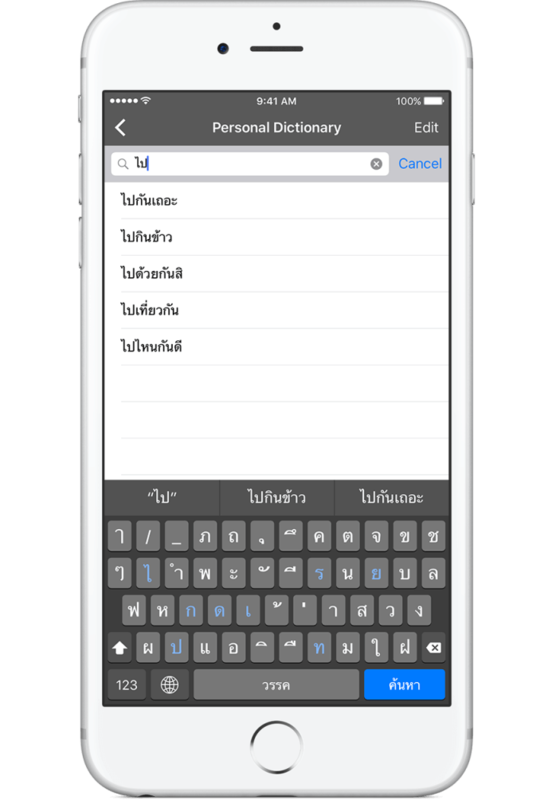 ThaioType Keyboard automatically rotate to both portrait and landscaper orientations in all your devices. Take comfort to type the way you really like. 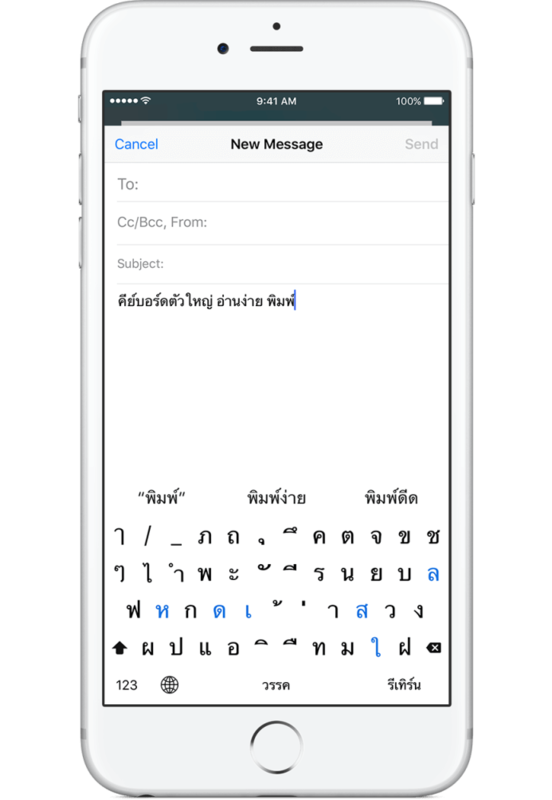 Upgrade your on-screen keyboard to ThaioType.